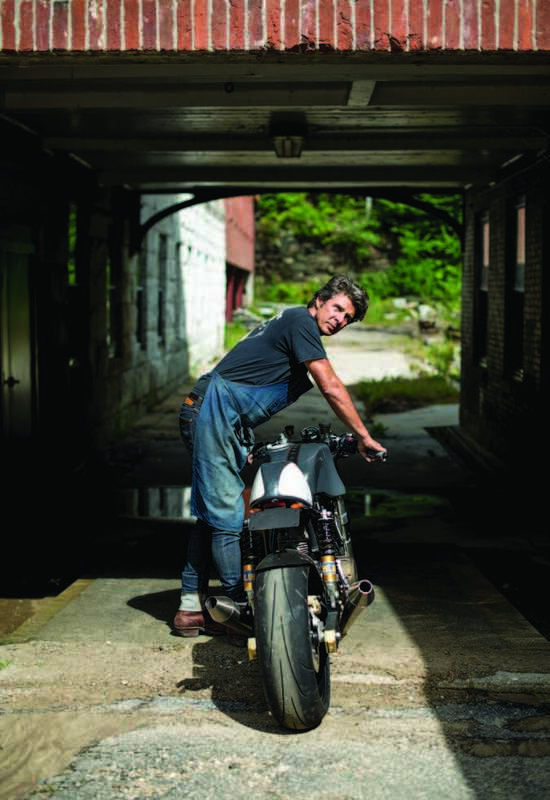 To say Walt Siegl’s motorcycles encompass a world of influences would be a grand understatement. His career, building some of the most sought-after and distinctive custom cafe racers we’ve yet seen, started in a Russian steel firm, of all places. From his time in Moscow, the soft-spoken Austrian went to work for his native country’s government in the for.eign service before ending up as a cultural at.taché in New York City. 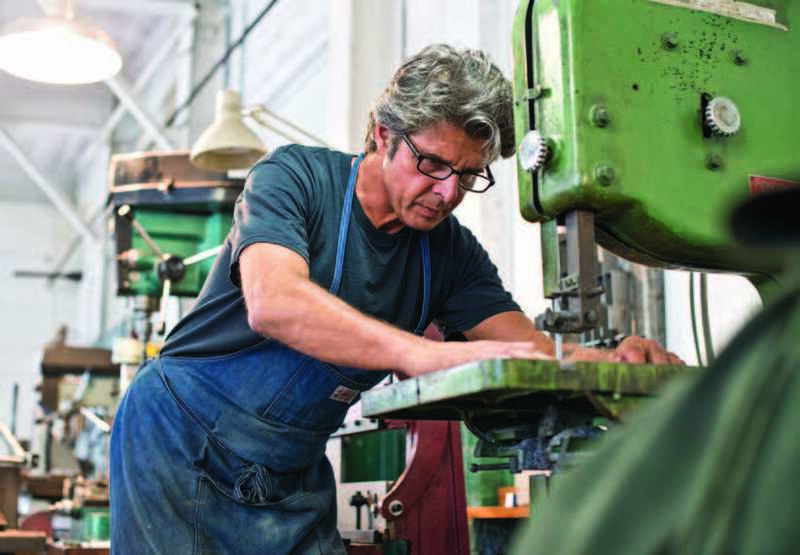 The world of international diplomacy is a far piece from the usual motorcycle builder’s background of bike shop technicians and home-brewed machinists, but Siegel isn’t your ordinary shade tree me.chanic. Speaking to him in his New England stu.dio, his passionate reflections on the aesthetic and visceral pleasures of fast, one-off motorcy.cles sounds reminiscent of a modern artist de.scribing his muse more than anything else. That assessment makes Siegl laugh, we’re happy to say. the look of a classic British cafe racer with his builds, “I think people are into café racers because it’s a discov-noting that his first-ever consignment was for a Harley.ery of the beauty of these bikes. The big companies Davidson some 10 years ago. The resulting machine building sportbikes have a difficult time hiding new may have emerged at the peak of the chopper craze, technology with all the EFI and electronics needing to but the owner was adamant that the bike not be a be covered up by injection molded plastic. People chopper, which suited Siegl just fine. 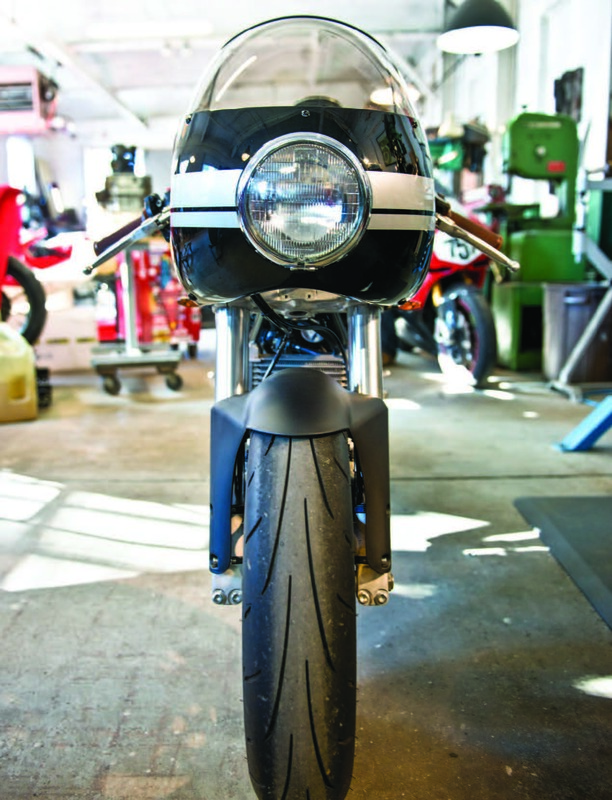 “Being a Euro-ended up appreciating the visuals of a beautiful ma-pean I thought, I’m going to build something with a vi-chine and its mechanical parts and I believe this is part sual connection to a bike that could come from of the resurgence of the café racer scene,” he says with overseas. That’s why it’s called the Riviera.” an accent straight out of a James Bond flick. In addition to the clearly defined racing lineage of The builder, who has garnered such success with his Ducati’s air-cooled Supersports that Siegl prefers, his re-Spartan race-bred custom Italian bikes that he’s booked spect for the Bologna firm runs very deep indeed. “Ital.solid with new customers well into next year, says proof ian bikes, to a certain extent, are all hand-built no-B.S. 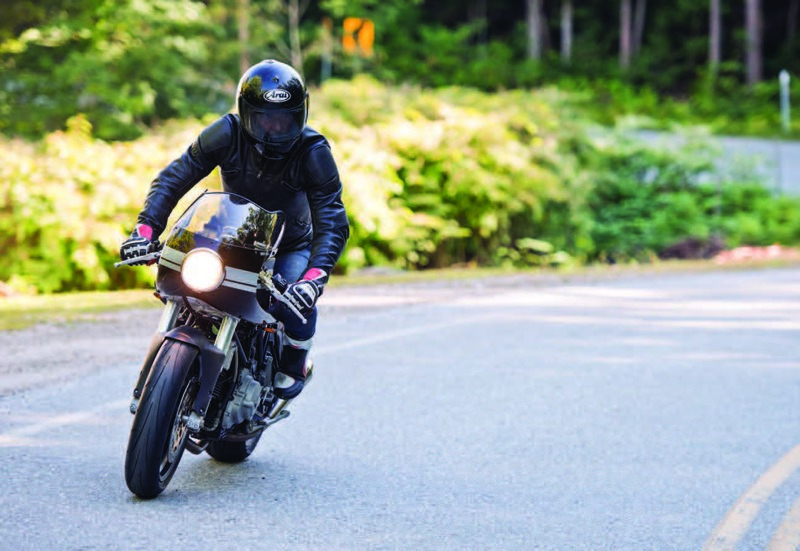 of his thesis lies in the way the OEMs have abandoned motorcycles built by people who are quite passionate ultra-fast sportbikes in favor of retro-flavored “real about the way the bikes look and perform. With the big-world” streetbikes. “It’s great to see that people aren’t re-ger corporations, it’s not about visuals, but appealing to ally into high horsepower and torque figures any more. as many people as possible,” says Siegl, who is the only Even BMW is doing well with their R nineT and Ducati new-school custom motorcycle builder that we know to with their Scrambler, bikes that are mechanical and sort be profiled on Public Radio. of underground,” he says. Even the sometimes erratic reliability and, shall we say, When asked what attracted him to Italian machines characterful nature of the Mediterranean steeds is part and Ducatis in particular, Siegl says it has precious little of their inherent charm, Siegl says. “Italian motorcycles to do with the classic cafe racer. “I feel café bike is a are sometimes criticized for not conforming to princi.term for any bike with no fairing. A true café racer is re-pal ideas of how a bike should handle; MVs are criti.ally a British bike so I just looked at Ducatis and tried to cized for being twitchy or Ducatis for being too hard to make a visual connection to all of the classic design el-ride, but being uncomfortable, I kind of like that. The ements that Italian bikes are known for,” he says. Siegl idea and concept of purity exists throughout the entire confesses that he never intended to copy or emulate range of models they have,” he says. 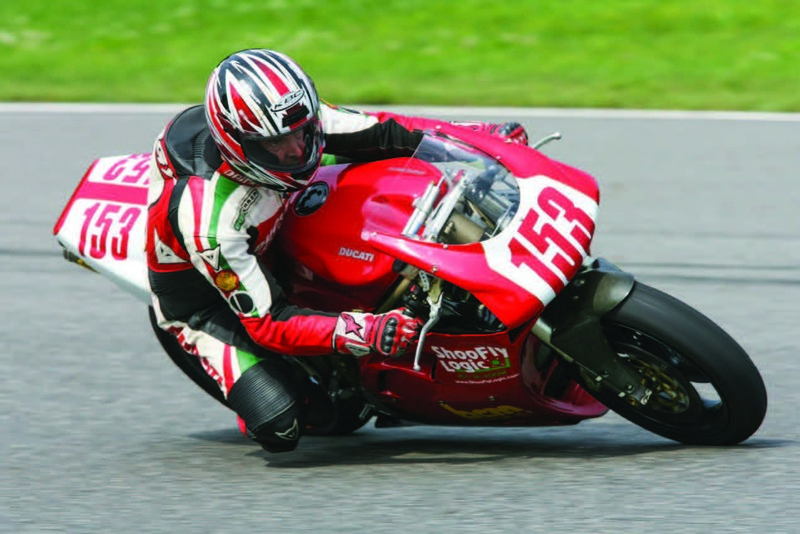 Being comfortable in a decidedly uncomfortable riding position may have something to do with Siegl’s background in roadracing. While working in the diplomatic corps in the 1990s, he may have been the only bureaucrat at the United Nations to spend his weekends dragging knee pucks and chasing checkered flags. In those days, Siegl notes that building custom American V-twins was just a hobby and not a business as is his cur.rent operation. Driven and dedicated, he recalls spending the better part of two decades wrenching at his Long Island City studio until the wee hours before grabbing four hours of shut-eye before returning to his suit-and-tie gig every morning. 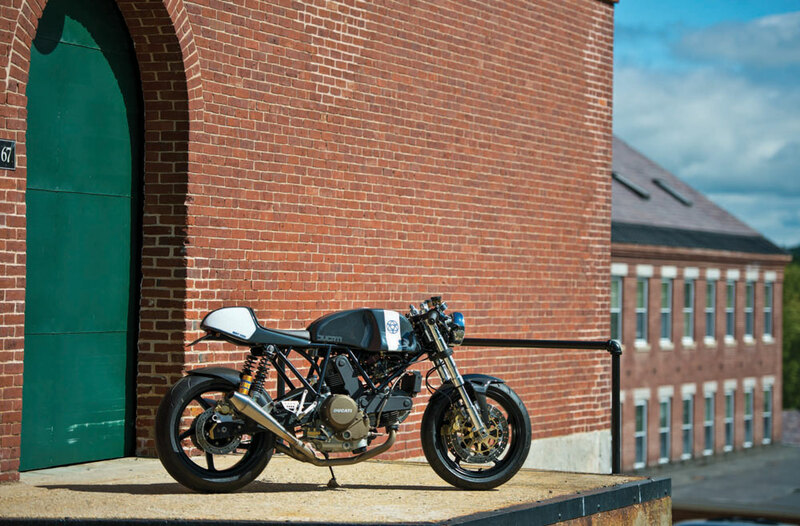 “We came on-board fairly late in the chopper game, but I was still into racing my Ducati 996 and wanting to build something other than choppers,” he says. Today, after a fickle real estate market forced him to vacate his New York digs, Siegl has a solid decade in business in the far quieter Harrisville, New Hampshire. In an era when low-buck, do-it-yourself engineering is king, Siegl maintains some of the flash and dazzle that made his custom Harleys such sought-after icons of urban bling. 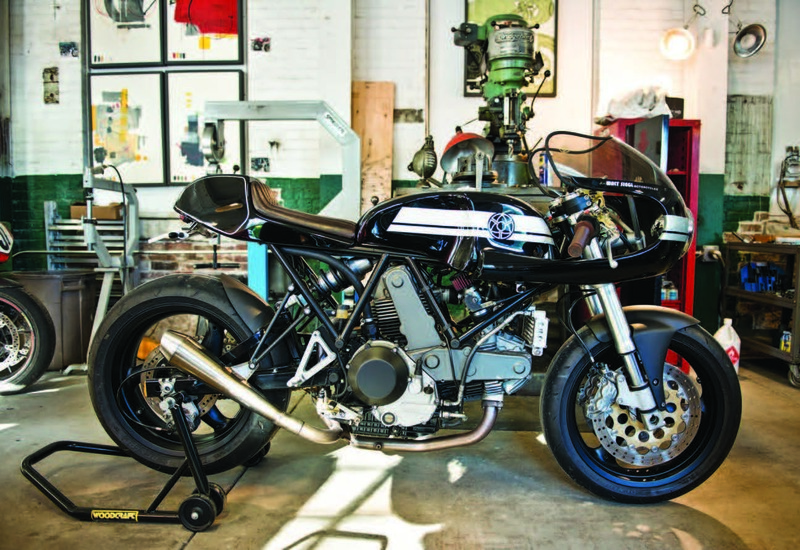 Wearing voluptuous retro race fairings and hand-sculpted bodywork evocative of Ducati’s short-lived Sport Classics line, a Siegl custom Ducati Supersport can command upwards of $30,000 from his lengthy list of clients. Known for superlative handling if not the blistering power of later, water-cooled Bologna twins, the 1987-1999 Supersports have fos.tered a cafe craze all their own, with everyone from Union Motorcy.cles to England’s Made in Metal stripping the trellis-frame roadsters down for more speed. But rather than focus his creative energies on just one model or marque, Siegl has recently turned his torches and two-man staff’s attentions towards other Italian brands, namely MV Agusta. His take on the narrow 800cc inline triple Brutale naked bike combines the brawn of a 1980s roadracer – it’s named Bol d’Or after the French endurance championship – with the 21stcentury tech of a modern GP bike. Oh yes, and its street legal, too. “MV were winning everything in racing when I was a boy in Austria and I’ve always admired them,” says Siegl who trimmed the already svelte Brutale down from 420 pounds to a whippet-like 340lbs, full of petrol. 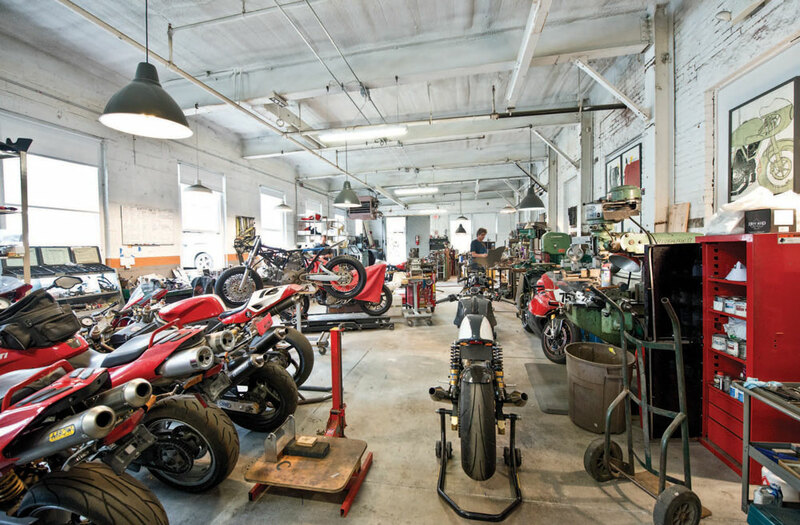 Part of the radical weight-loss program can be chalked up to trick bits like a Kevlar fuel tank and bodywork plus the builder’s own alloy subframe and custom rearsets. He describes the perform.ance of the triple as “only lacking a few top-end horsepower of an inline four and maybe vibrating a bit more, but with incredible torque and feedback.”To date, three of the buzzy, road-hugging MV triples have been built and, yes, they’re all spoken for. If this seems a long haul from designing custom choppers, Siegl is the first to admit he’s suitably impressed with the progress he’s made. “Our staff, one is a mechanic and one a welder, and we’re completely busy because I’m offering frame kits for racers and there’s a tremendous load of orders for the frames. I couldn’t build my customs and weld as well. As things are, I do one or two custom bikes per year that I pre-sell after receiving a deposit, and that gives me enough freedom to do my thing. I was hoping for (success) but I didn’t expect it and it caught me by surprise,” he says.